Acrylic Ten Pin Bowling Plaques. Available in 3 sizes, 130mm, 155mm and 175mm high. Full colour 10 pin bowling scene on a black acrylic base. 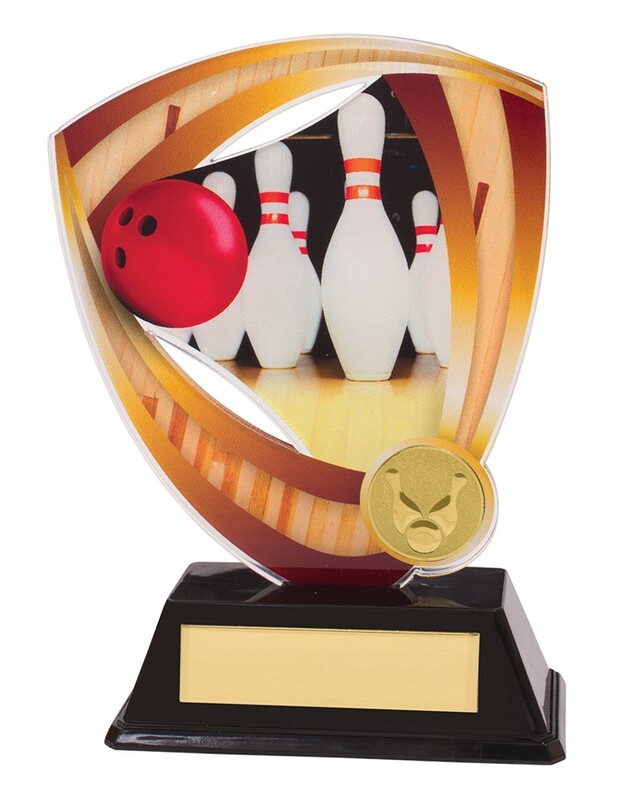 A great value 10 pin bowling trophy.